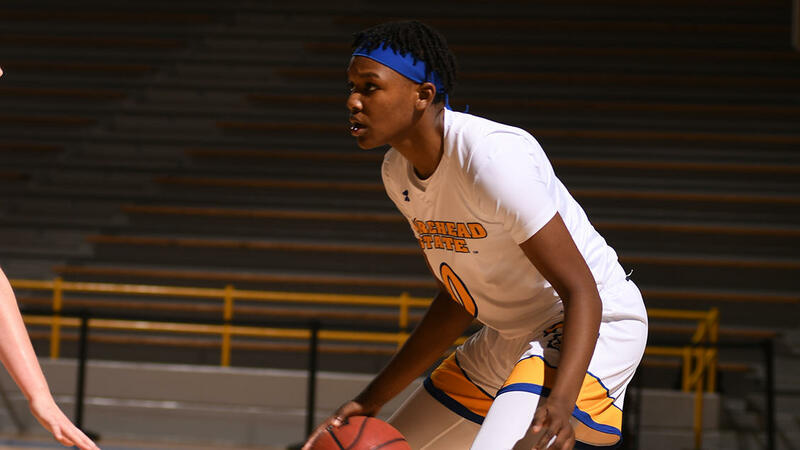 Junior guard Aliyah Jeune sank a career-best six triples and led all scorers with 24 points as Morehead State women's basketball topped Ohio Valley Conference opponent Southeast Missouri, 82-54, on Thursday evening at Johnson Arena. The Eagles, who have now scored 80-plus points on nine occasions during the 2018-19 season, improved to 12-6 overall and 3-2 in OVC play. Morehead State opened the game with six-unanswered points and rode hot shooting along with momentum to a 24-11 advantage after the first quarter. The Eagles knocked down 10-of-15 (.667) shots in the opening ten minutes and continued the trend of making shots throughout the second quarter as they entered the halftime break with a 20-point advantage, 47-27. Senior Miranda Crockett extended her double-figure scoring streak to 23 games before the half as she scored 14 points in the first 20 minutes of play on 7-of-8 shooting. The 5-foot-8 Preseason All-OVC guard finished the game with 17 points and eight rebounds. Southeast Missouri managed to trim the Eagles' lead down to 14 points at 53-37 with 4:06 to go in the third quarter. Morehead State answered with an 8-0 run over the next 1:59 to pull back ahead by 22 points. Despite the Eagles' quick scoring spirt, the RedHawks closed the third quarter with a 17-16 advantage as a three-point bucket by Jocelyn Taylor cut the Morehead State advantage to 19 points at 63-44 after three quarters. The Eagles closed the game with a solid defensive effort in the fourth quarter, holding SEMO to 3-of-13 shooting from the field. "Great game from our team tonight," said Morehead State head coach Greg Todd. "I thought we were able to do some great things defensively and hit the boards well. I thought our defensive intensity translated to the offensive end and we were able to capitalize and knock down shots." The Eagles held Southeast Missouri to its second lowest field-goal percentage of the 18-19 season at .282 on 20-of-71 shooting. Morehead State finished 31-of-64 (.484) from the floor. Sophomore Tesia Thompson paced the RedHawks with 16 points. Juniors Jocelyn Taylor and Iyanna McCurdy added 10 points each for the visitors. The RedHawks regressed to 7-9 overall and 2-3 against conference competition. Morehead State plays the second leg of its four-game homestand on Saturday against UT Martin. The Eagles and Skyhawks are set to tipoff at 4:05 p.m. ET. The game will be streamed live on ESPN3. 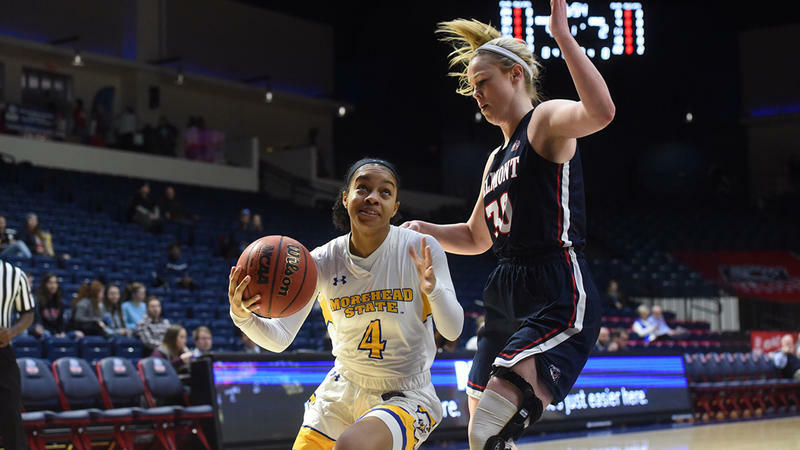 Junior guard Aliyah Jeune finished two assists shy of a triple-double as the Morehead State women's basketball team bounced back from a two-game losing skid with a convincing 85-62 victory over Ohio Valley Conference foe Tennessee State on Saturday evening at the Gentry Center. Jeune paced a group of four Eagles who scored in double figures with a game-high 19 points. The 6-foot-1, Westhampton, N.J., native also corralled 10 rebounds as she logged her second double-double in as many games. 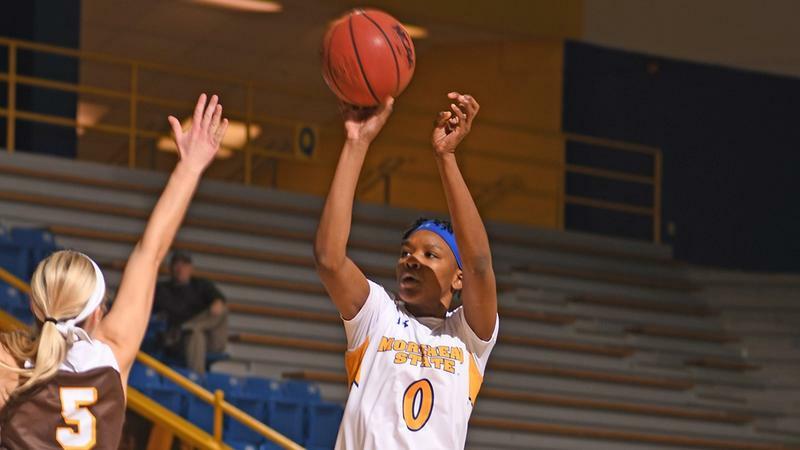 The Morehead State women's basketball team (10-6, 1-2 Ohio Valley Conference) suffered a setback at the hands of Belmont (9-5, 2-1) by a final score of 77-50, on Thursday evening at the Curb Event Center. The Eagles were led by senior Miranda Crockett, logging her third double-double of the year with 16 points and 10 rebounds, after coming up one rebound shy of a double-double in three of her previous five outings. Crockett also extended her streak of double-digit scoring games to 21. 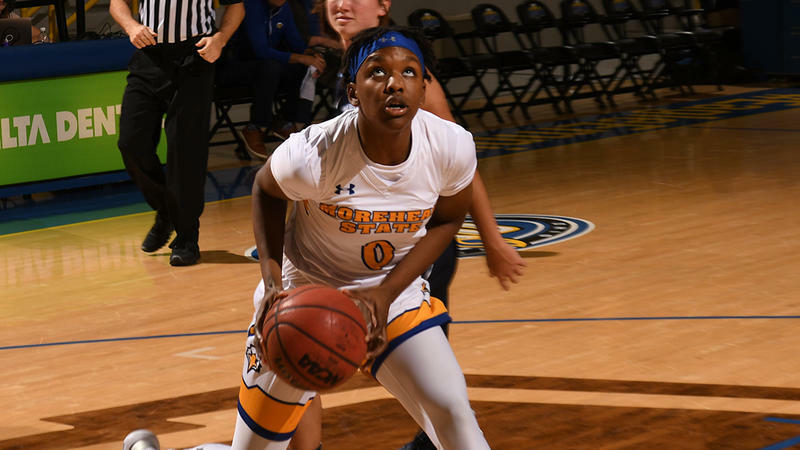 Junior guard Aliyah Jeune has been tabbed as the Ohio Valley Conference's Newcomer of the Week after averaging 24.5 points per contest in Morehead State women's basketball's weekend split on the road at Murray State and Austin Peay. Jeune led all scorers with 28 points off the bench in the Eagles' 83-61 win at Murray State on Thursday. The 6-foot-1 guard was 11-of-23 from the field while also knocking down four triples. Jeune also chipped in with three assists and seven rebounds as she helped lead her team to its largest victory ever over the in-state foes on the road.